On Thursday 14th March, eight employees from Treatt, collaborated with Sybil Andrews Academy for their first ‘Speed Networking Careers Event’. 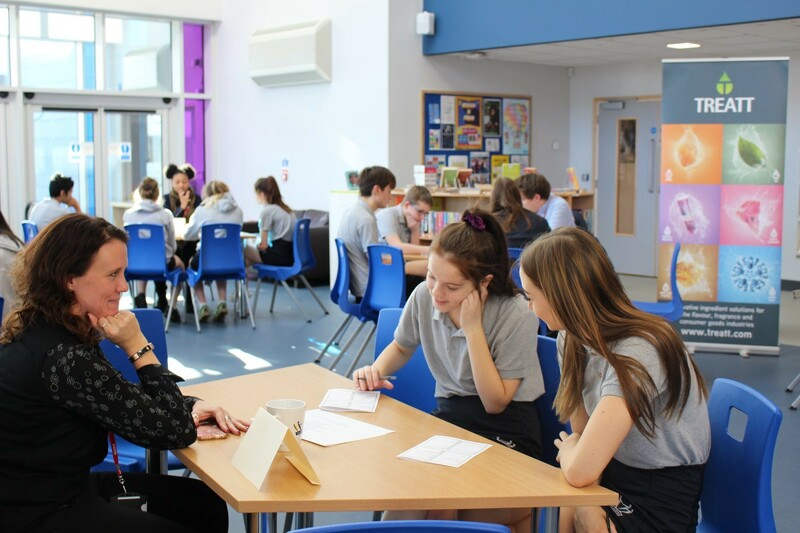 After researching Treatt during National Careers Week, pupils were challenged to identify individual job titles of those Treatt employees who attended. In three minutes, through a series of questions, the pupils were able to uncover the job role and learn more about the skills and responsibilities required for each position. Around 80 pupils from Year 10 took part in the networking activity speaking to Treatt staff from a variety of disciplines to guess their job titles. This included employees from Sales, Technical, Legal, HR and Customer Care. Karen Cannard, Careers Coordinator at Sybil Andrews Academy said: “It is important that our students meet with local employers and are introduced to as wide a range of roles as possible. Developing close relationships with local schools and colleges is important for Treatt who have a keen involvement in the community and the people within it. Treatt have recently submitted a detailed planning application to build a purpose-built site on Suffolk Park, which by its very location will help strengthen their work with Sybil Andrews Academy. Treatt is a leading independent ingredients manufacturer and solutions provider to the global flavour, fragrance and consumer goods markets. Operating from four sites in the UK, US, China and Kenya, with the head office based in Bury St Edmunds, United Kingdom.